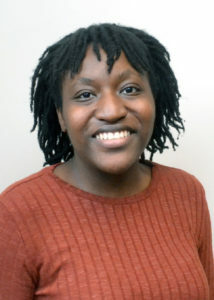 Sharnita Midgett is an editorial assistant at the Penn Memory Center and a current Master’s in Public Health candidate at La Salle University. She has a Bachelor’s in English and has interned as a writer for several organizations. When discovering her passion for health, she became a health communications intern for La Salle University and is currently working on a documentary with Dawn’s Place. She is a Gates Scholar who hopes to use media and communications for healthy change.